If the StartEngine Summit discussed tokenizing the world, then tokenizing investment funds are along for the ride. 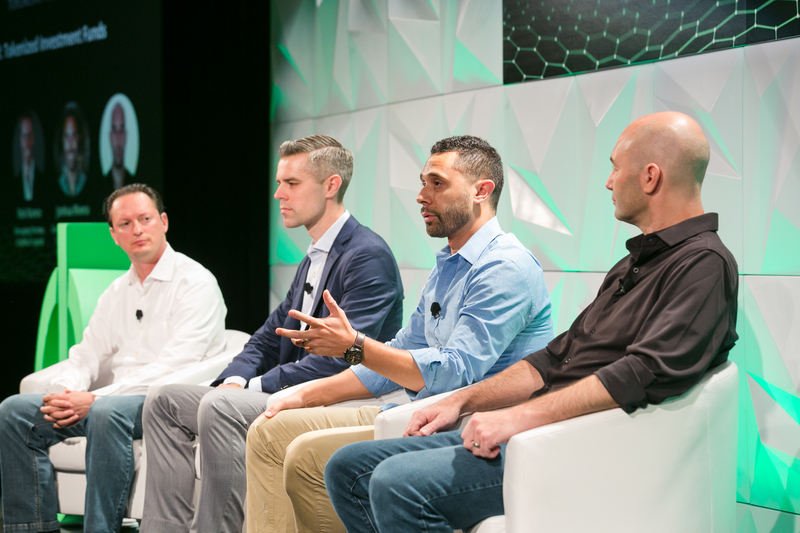 The tokenized funds panel brought together CityBlock Capital, Blockchain Capital, and Science, all of whom have opted for a tokenized fund versus a traditional fund. Did the strategy pan out? You have limited partners (LPs) who form the fund. They provide the money. Then you have the general partners (GPs) who manage the fund and decide where the money is invested. These funds have a 4-5 year call period, than an additional 4-5 year investment period. As a traditional VC, you wait a long time for those returns, which come in the form of exits or companies going public. The idea behind a tokenized fund is different, Rivera explained: rather than waiting for a return for such a long period, what if you tokenized an LPs interest and made that tokenized interest tradeable? You can exit and enter whenever you want by trading, based on the net asset value of the fund itself. Greg Gilman, a co-founder of Science, was the second fund to ever tokenize, and his experience was similar. The goal Gilman described was to offer liquidity, but he made an interesting philosophical point: “it’s one thing for our token holders to become liquid with respect to our token, but what if we could make our LPs liquid with respect to the underlying investment?” The concept being that with each new company that enters the Science incubator, LPs can decide whether they want to hold or sell their tokens at any given time. Rob Nance, Managing Partner at CityBlock Capital, wanted something similar and issued ERC-20 tokens representing a stake in their fund. Nance wanted to create a better ownership structure for the LPs involved. However, as he was raising for the tokenized fund, Nance discovered that institutional investors were not interested in participating in a tokenized fund. Indeed, much of the crypto audience was not interested as there is no liquidity for security tokens yet. Instead, he needed to target high net worth individuals. Rivera agreed, noting that family offices and institutional players are not interested in something fast and loose like a token. Instead, you target the crypto crowd with a tokenized fund, though the lack of that liquidity at present makes it a harder sell for investors. Gilman agreed that the lack of liquidity was a difficult leap of faith for investors to take. Compounded with the fact that institutional investors did not understand the technology and how custody is handled with crypto assets, it was no easy feat to get investors, and ultimately, monetary commitment was smaller than Gilman anticipated—though the raised $12.5M, which is no small sum. The closing words from the panel was that the process of tokenizing a fund was very difficult. After all, they did it in the early days when there was no clear regulatory path for them to walk. Even now, the complexities of staying on the right side of the law remain, and while these tokenized funds are not liquid yet, all three panelists believe they made the right call and that secondary markets are on their way, hopefully sooner rather than later.